Fast paced word finding with a magical twist . Find Words quickly on an ever-evolving board. Play with the different powers to see which ones boost your style of play. Lets you play friends and challenges you to make your way to the top of the weekly leaderboard. Login each day to receive free coin gifts and beat your friends. See how all your friends are doing from leaderboard on the main screen. Just when you need it most…Hints can point you to the location of a word. Fun for beginners and easy to learn . It's a deep gaming experience for everyone that gamers can master. 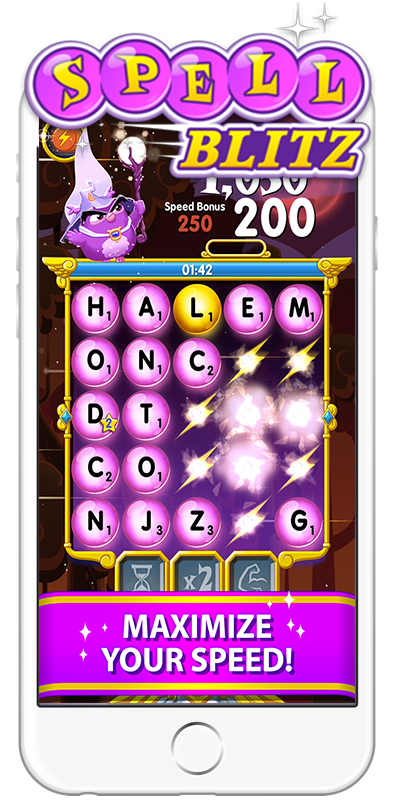 Expand your vocabulary as you quickly experiment with new letter combinations and instantly discover new words.